Heat the oven (with the oven rack in the middle) to 375°F. Chop the onion and garlic. In a large saucepan, heat 2 tablespoons of the oil over medium heat. Add the onion, garlic, and ¼ teaspoon of the salt. 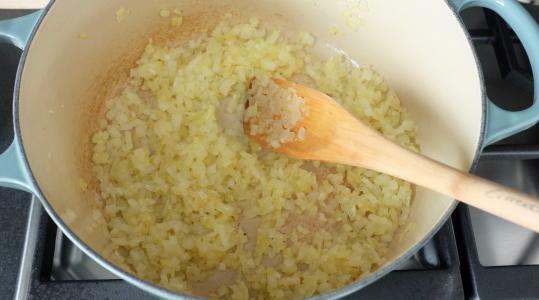 Cook, stirring often, until tender, 5 to 6 minutes. 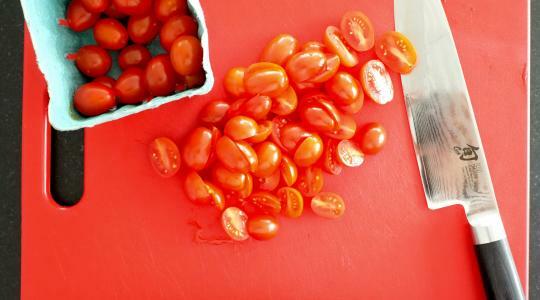 Cut the tomatoes in half and stir into the onion mixture. 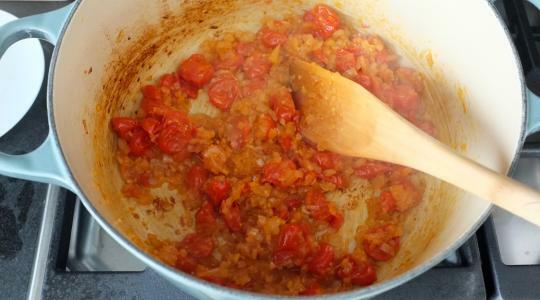 Cover tightly and cook, stirring occasionally, until the tomatoes have softened, about 8 minutes. 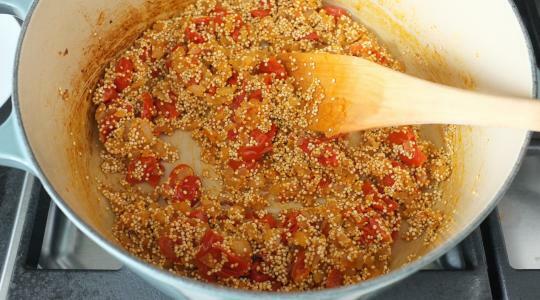 Stir the quinoa into the onion-tomato mixture. 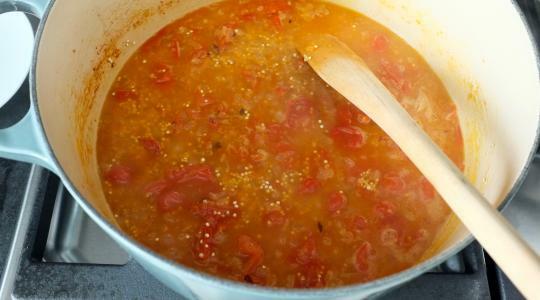 Add 2 cups of water, the red pepper flakes, and the remaining ½ teaspoon salt and let come to a boil. 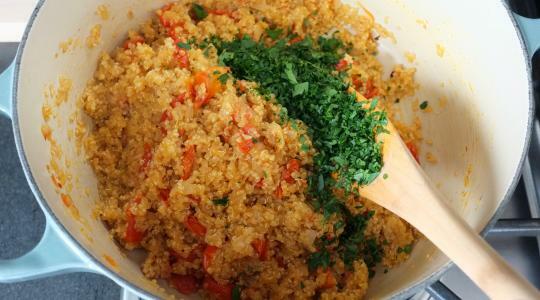 Cover tightly, reduce the heat to low, and cook until the quinoa is tender and the water is absorbed, 12 to 15 minutes. Let stand, covered, for 5 minutes. 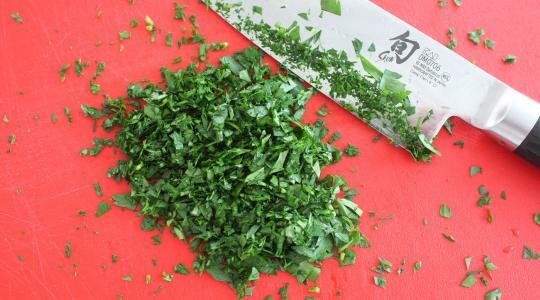 Stir in the parsley and black pepper. 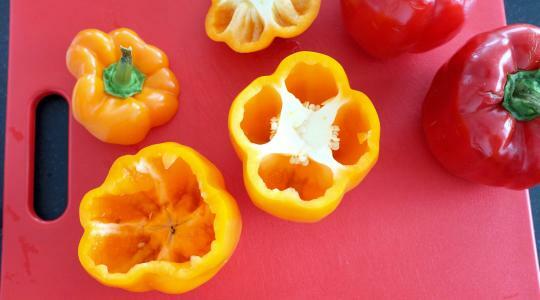 Cut off the tops from the bell peppers just below the “shoulders” to make lids. Cut out the white membranes from the insides of the peppers and shake out the seeds. Trim the white membranes from the lids, too. Dividing evenly, fill the peppers with the quinoa mixture. 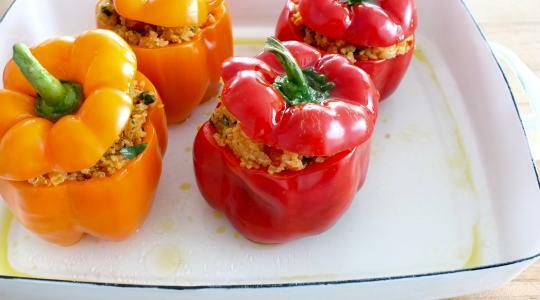 Place the peppers in a baking dish and top with the lids. Drizzle the peppers with the remaining 2 tablespoons oil. Pour 1½ cups of water into the dish. 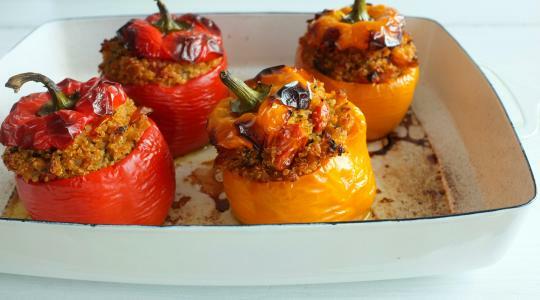 Bake the peppers until they are tender, about 1 hour. Serve drizzled with any juices that may be left in the baking dish.